My 3-year old laptop has been getting very slow and unstable in the last few months and so I decided it was time for a new work machine. This is an account of the most important programs I transferred. Most were easy to reinstall. A few needed some tweaking. I had a list of programs that were running on my old machine, along with all their license keys. I also used Belarc Advisor (as recommended by Jost Zetzsche in his Tool Box), which runs an audit and tells you what you’ve got on your computer and retrieves some but not all licenses. See this blog post for a list of tweaks I make to new Windows installations. Disable the Protected view for Outlook attachments. Go to Options (Alt, F, T) > Trust Center > Protected View. Untick Enable Protected View for Outlook attachments. Show the Developer tab on the ribbon. Go to Options (Alt, F, T) > Customize ribbon. Check the developer tab. I now use IMAP in Outlook to keep all emails on the server and have access from several devices, so the .pst note above is no longer relevant. See my last blog post for a blow-by-blow account. I thought that moving Translation Office 3000 would be simple, because I found clear instructions in a Knowledge Base article. Armed with my exported database and settings files, I set about installing the program, but I couldn’t find my version (10) to download from the website, or even a link to my client area. I found an old email with this link: http://clients.translation3000.com/ , but there was no download there either. So I used the .exe file from my old machine. This installed and the program asked me if I wanted to update it. When I clicked OK, the newest version (11) started downloading, which is only available on payment of an upgrade fee. So I went ahead and purchased the upgrade (only €23). Where is a link to download my version (I needed to download version 10 and it wasn’t in my private client area). Where is a link on this page http://www.translation3000.com/ to take me to my private client area? (I found the link in an old email). How do I disable the upgrade question when I launch the program if I decide not to buy the new version? settings_cf.json from the same path as the other json file. It was easy to install AnyCount, another program by AIT. I entered my old activation code and it was accepted. I was asked to register the product (which was already registered, of course) but I skipped this step, and the program started up successfully. I used the .exe file from my old machine to install Abbyy FineReader. After reading up on Abbyy Product Activation, I entered my old license key in the new machine and this took me to an activation wizard that produced a new license file. I got an error message: “the same license is in use on another computer on this network”, and the program closed. This was easily solved by unplugging my old laptop, and later removing the program from it. I’d upgraded to Abbyy 14 a year or so ago, but somehow lost the .exe file. Abbyy support responded fast to my request for a download link so that I could continue to use the latest version. I downloaded the latest version of AutoHotKey (an open source program to automate tasks and autocomplete strings) to my new machine. Then I transferred my own script file to my new desktop, where I like to keep it for quick editing. To get the script running on Windows startup, I added a file shortcut in the startup folder by pressing Win+R, and entering shell:startup. I downloaded the latest version of IntelliWebSearch and exported my search settings from my old machine by going to Search settings>Share>Export All. IntelliWebSearch version 5 now comes with licenses for 3 machines. One license will be tied to the old machine so you’ll have to use another license for the new machine. For IWS v.5 I exported all settings, including groups and shortcuts from Share>Export All Items and then imported the .ini file on my new machine by going to Share>Import from File>Replace all items and program settings. Archivarius was easy to install and the license key got accepted immediately, despite the website stating that products are licensed on a per installation basis. I’ve been using PDF XChange Editor since 2015 because it has an easily accessible digital signature module and a tabbed interface. I logged onto my Tracker Software account, where I have access to my license key and program download. It’s important to select the correct Windows 64-bit or 32-bit version because – I discovered – the wrong version breaks the PDF file preview feature in Windows Explorer. Then I tweaked the fresh installation to customise a couple of shortcuts that I use frequently. I added Ctrl+T to switch quickly from “Hand” to “Select Text” mode. And to add my digital signature seamlessly, I’ve created a shortcut and added an AutoHotKey script so that the PDF will be signed, overwritten and saved with a single click. PerfectIt is integrated in Word as a COM add-in, so it should have been a question of downloading the program, following the installation instructions and making sure it was enabled in Word in Files>Options>Add-ins>Manage COM Add-ins. But I couldn’t get it to load. After a long e-mail exchange with the PerfectIt developer, in a remote session we eventually found out that it wouldn’t load because I was running Word as Administrator. With that problem solved, I was able to enter the license key and get it started up, albeit with a two week delay. Installation was simple this time round. I downloaded the latest version (3.3), closed Word, and ran the .exe file. PerfectIt is moving to a subscription license shortly, but an email from Intelligent Editing has assured existing users that they will be able to keep their permanent license for version 3.3. I downloaded the current version of Xbench (3.0) from the website and didn’t have to worry about license keys at all because the software is tied to an email and password. Don’t forget to transfer any customised checklists to your new machine. If you can’t remember where you saved them on your old machine, open Windows File Explorer and enter type:xbckl in the search box. What do you do if you have a CD-ROM with Dragon on it but your laptop doesn’t have an optical reader? I copied the whole disk onto an external hard drive and installed it from there. It worked! To transfer my user profile I followed the instructions on the Nuance website. SnagIt explains how to transfer the program to a new machine in a Knowledge Base article. The first thing I did after installing it was to get rid of the annoying red camera icon that floats on top of all windows by selecting “Turn off one-click” in the Quick Launch panel. I switched from SnagIt to FastStone Capture in 2015. When moving it to a new computer in 2018, I was able to download the latest version (8.9) and use my old license. The Medical Dictionary for Regulatory Activities – a must-have for medical translators – has a desktop browser with bilingual display, which is why I use it rather than the online version. I downloaded the latest browser version and language files and entered all the required passwords. The good news is that it loads much faster with my new SSD. Of course this won’t apply to everyone, but freelance translators living in Spain will probably have an FNMT-RCM digital certificate stored on their computers to submit tax forms online. I exported the certificate from my old machine and imported it on the new one. AEAT gives clear instructions how to do this. I still have a few more programs to reinstall on my new machine, but the ones mentioned above are the ones I can’t be without in my day-to-day work. It’ll be interesting to see how the list changes when I have to set up a new machine in another three years’ time. How do you manage your old-to-new computer moves? Have you got any tips? Any must-have programs that I’ve missed? This entry was posted in SDL Trados Studio and tagged Abbyy FineReader, AnyCount, Archivarius, Dragon NaturallySpeaking, how-to, intelliwebsearch, MedDRA, new computer, Office 2013, PerfectIt, SnagIt, TO3000, Xbench. Bookmark the permalink. Thank you Emma, nice effort, and interesting list. I’m exploring a selection of these software, some of which I never heard of before! And looking into perhaps using them (PerfectIt trial version encountered problems and didn’t install). Looking forward to the next post! Give it another try, I recommend it! Thanks for the direct links, Emma! I’ll definitely look into it this weekend. Great post, thank you very much for sharing. I’m already dreading the next time I have to buy a new computer so I’ll keep this post in mind. I have to say that I wasn’t happy either when the latest TO3000 upgrade came in the guise of an update without any heads up at all. I didn’t end up buying it as I couldn’t find any good reason as to why I should on their website. I agree with you, Stefan, it almost seems as if AIT doesn’t want us to find out there’s a new version available! I found the details under the product>history tab in the end, but nothing on the home page. It seems that my feedback and the AIT email reply – “I will pass this information to our Management” – fell on deaf ears. Thanks very much for taking the time to note everything you did, next to the tedious work of reinstalling. Very useful! Yeah, a new computer always costs several working days, good to keep in mind and to plan it in time! I ditched Adobe Reader some years ago, and prefer PDF-XChange Viewer, which is much leaner and full of useful features. I can only second this recommendation. The free edition already has more features than Adobe Reader, I love the tabbed interface for instance. Search in PDF-Xchange Viewer is usually 5 to 10 times faster than in Adobe Reader. Thanks, Marce and Rafael for your recommendation of PDF-Xchange viewer. I’ll definitely look into it. Very useful, Emma – wish I’d been able to wait a week before setting up my new computer last week! Your Word templates trick would have been particularly useful, as fine-tuning the new Word 2013 took me quite some time. However, much of the effort is getting used to the program itself and where things are hidden, and the same applies to the new Windows 8 layout. Who knew, for example, that you would have to download a separate Skype for Desktop to be able to see notifications – I really cannot see the point of the “app” version at all! I had similar experiences to you with TO3000; my version was 9 and not available on the list either, but thanks to an exchange on the ProZ forums, AIT sent me a link with my download in. It was then a case of exporting my user profile from the old machine – simple enough once I was able to keep the machine running long enough to extract it! My Anycount 6 wasn’t available from the link on my order documents either, but AIT responded promptly to a support e-mail and sent me a new link. Again, my version of Abbyy was 9, so not available for download, but Customer Support responded quickly with a new link, which worked with my old activation code. My other pdf converter, Solid Converter, was no longer supported in the version I had, dating back to 2008, but they did offer me 50% discount on an upgrade to the latest version (full price $99.95), or said that if I only wanted it to convert pdfs to Word, then their basic pdf to Word converter, at just $39.95, might be sufficient. I haven’t downloaded either at the moment as I use Abbyy for scanned pdfs, but I have in the past found that Solid copes better with tables and complicated layout in editable pdfs than Abbyy, producing output that is very close to the original and easier to edit. I’ve therefore decided to leave that one on the back burner until I have need of it again. Wordfast, my other CAT tool, I found very easy to restore by downloading the latest version from the Wordfast website after logging in. There isn’t even any need for install nos. or licences these days – it just seemed to recognise that I had a valid licence and off it went. I copied my Wordfast.ini file from my old laptop to Dropbox, then updated it on the new machine, making sure I then saved that to the start folder so that it recognised it again on start-up. Perfect! I’m coming to the end now of a week’s worth of fine-tuning and acclimatising to my new systems and I think I’m nearly there – it’s a long process and I had a full schedule of work last week as well, but I can now breathe a huge sigh of relief and hopefully won’t have to do it again for another few years! P.S. See my blog post http://clairecoxtranslations.wordpress.com/2014/02/24/backing-up-isnt-hard-to-do/ on backing up the relevant data, so you don’t end up in a panic when the time cones to change computers! Thanks, Claire, for sharing your experience of setting up a new machine. Thanks also for the link to your post about data back-up, which is something I didn’t even touch on in this article and is very relevant to moving to a new computer. Thanks for sharing your list of programs, Reino. It’s interesting to see the different tools that translators use. Thank you, thank you, thank you! Since October when I bought my new laptop, I had been using my old Office 2007, even though I had 2010 the old laptop, because I could not find the Key anywhere. I had missed Jost´s mention of Belarc and thanks to your comment I downloaded it. Voila! There was the Key for me to use. I now have Office 2010 installed in the new laptop! I did not purchase Office 2013 because I read reviews saying that if you had 2010, no need to upgrade to 2013. Regarding TO3000, I also had problems and I am still using it in the old computer because I have not been able to import my data. Oh, well, when I have the time to spend a whole day on it, I will try again. That’s great news, Virginia! I hope you get your TO3000 database sorted too! A general principle to save time is to keep only application and program files in the C: hard disk and use a partition (let’s say, D) to save all data and work files, redirect default storing folders and redirect also program profiles. So creating partitions is a very useful first step whenever I set up a new computer. Then I reconfigure my programs to save Profiles in a folder within the D disk, not in the default folders, which are typically C:/Users/…/AppData/Roaming/AnyFolder… etc. or C:/ProgramData/…, or C:/…/MyDocuments, etc. For example, I do this for Thunderbird and Firefox profiles (keeps plug-ins, add-ons, configurations, markers, options, accounts, settings, etc. ), and it can also be done with Office, especially OneNote Notebooks, which are so very useful, as well as Outlook data files. I never store Trados project templates or files in the C default folders as well, and I also redirect them to the D partition. In this case, if I have to reinstall the OS or format C. or install a new computer, I don’t have to manually backup the important files you mention in your excellent post risking to miss some of them with relevant information. I just mirror the D partition or selected D folders into the new computer using a sync program such as BeyondCompare, and voilá. Whenever possible, not mixing system files and data files into a same partition is an efficient measure. As I always say, congratulations for your magnificent blog! This is excellent advice, Paula. I’d never thought of setting up a separate partition for that reason. Thanks for explaining in detail. I didn’t mention OneNote notebooks in my post either, but I agree, they’re very, very useful. Thank you for the tool tips! Would you write a post with a few lines about each tool and why you like it? For new computer installations, I have created an Install-folder, on Dropbox where I save all installation files. licenses and activation codes. Thanks for the request for a post about these tools, Tess. And for your idea of keeping installation files and data on DropBox. There are some great suggestions coming in! I opt to use Portable version of a software as much as I can and hope and wish that more and more software developers will start offering portable versions. This saves a lot of time and stress as everything is self-contained. I also try to store the data (profiles, settings, and databases) of softwares in a dedicated folder. Then it is simply a matter of pointing to the right folder and that’s it. It also helps with network shares. Unfortunately, it is not always possible as some software insist on dictating what will be saved where and don’t offer any user-friendly way to change the paths or to store data more safely in case of a hardware failure. I use SumatraPDF because these days I mostly open PDFs just for reading and I’ve found it small, light, and fast. 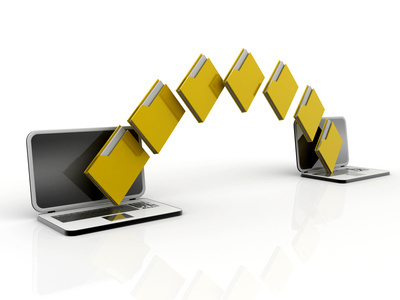 PDF-Xchange is a great tool as well if more functionality is needed. I recommend using Portable Apps Launcher to install the portable version of many common tools. It also makes it easier on updating them. And finally, I use Total Commander for file management. Not free (there are alternatives such as FreeCommander), but I think that worth every cent. It also serves as my archiving tool (replacing the 7Zip front end), FTP client (replacing Filezilla), Multiple file renaming tool, and much more. Many thanks for your suggestions, Shai.